It's March. For some reason, it's eighty degrees where I am. I'm peering wide-eyed into the future, trying to plan some things out, but really, we have no idea what the future is going to hold (sort of cool and sort of frustrating at times). I'm a bit o v e r w h e l m e d by the possibilities, all the things I want to do, all the things I need to do, and how very little time there seems to be to get everything done. You know, typical weekday afternoon thoughts. But I went for a walk on the beach (best place in the world to think/talk), and found several sand dollars. The tide was out, so you could find them with the only casualty being the warmth of your feet. I haven't found one in nearly a year, and looking at some made me think about a poem I read in sixth grade. The legend of the sand dollar. Isn't that a beautiful little reminder? To think God made something like that to remind of us His Son's birth and sacrifice! That made me think of how many little reminders God leaves us to tell us, "hey, it's okay. I've got this." He's holding all our dreams and deadlines in His hands. He's holding us in His hands, even when we're stressed out or just so tired we forget how to rest. And He's telling us He's got everything under control. What other reminders does He leave us in our everyday lives? He gave us the rainbow to remind us that never again will He flood the world like He did. He gave us a day, a Sabbath, every week to rest and worship Him with others. He gave us His Word, the Bible, an entire book to tell us how to know, love, and serve Him. And, one of my favorites, He left the cross empty to remind us of His victory over sin and death. Thinking about all that, all God has given us and how He's in control of our entire lives, it's just amazing. It makes me want to lay down and rest forever in His Presence, be reassured that everything is going to be alright. I think we need more reminders like that, just little things in the middle of our busy lives that tell us that God has got this. He's got us. Wear a cross. Look for rainbows. Take a day of rest. I hope you guys got a little reminder of God's glory here. Next week, I'll be giving the full low-down on what's going on with my writing and maybe even some snippets. 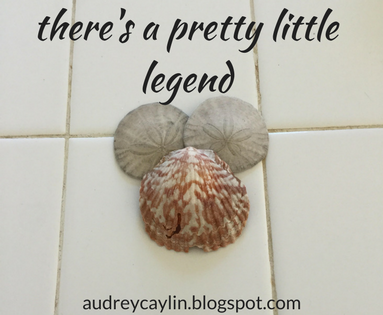 Have you heard the legend of the sand dollar? Have you ever found one? What sort of reminders has God left for you? My favorite reminder is the sunrise and sunset. Everyday, the sun gives us light to see and live by. And at the end of the day it sets, displaying a marvelous masterpiece over the sky. And then hours later, it rises again. And birds. Jesus talks about how His Father cares for the birds of the field. And are we not of much more value than they? When I'm feeling down and I look outside, I almost always find a few birds and I think of that verse. If I had to say what reminders God has left me is... Everything, I can't just say one thing since everything reminds me of God's greatness(He made everything after all)! This was so beautiful, Audrey! Thank you for sharing it - I've never heard it before, but I'm certainly going to remember it! Now I want to go out and find myself a sand dollar xD. I have only been to the beach but once in my life (hashtag Midwestern kid problems :/) and I looked and looked last month in Texas, but I did not find a sand dollar. However, one day I hope to find a whole one just resting or half hidden on the beach just for me. I love the spiritual lesson you gave us from this, too. His blessings are everywhere! Thank you! I hope you find one someday. I guess it's like a four-leaf clover -- you can't find one, can't find one, and when you do, they're suddenly popping up everywhere (though I've never see one :P). Oh, yes! Sunrises and sunsets are so beautiful. And even when we can't see the sun at night, it reflects off the moon and we see the stars, and we know that it's still there. Sort of like when we're going through a hard time and can't seem to see God's plan, but we know it's still there. Wow. For sure. Everything is a reminder when we look hard enough! I've never been on any other beach but west coast, but I'm pretty sure they're everywhere. If the tide is out and you risk getting your feet wet, you should be able to get one! I like this - the poem, and the lessons you drew.. There's something amazing about nature, the way it points to the Creator just by being. Thanks for this post. I hope you feel more assured about the future too - I know it's scary to consider sometimes! 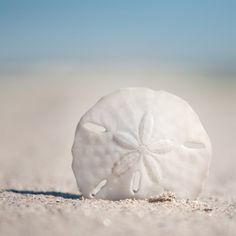 I've never seen a sand dollar but they look so cool in all the pictures! That poem is so beautiful. <3 Do you know who it's by? I know! It's incredible how everything He made points to Him in one way or another. Thank you <3 I'm getting there! I hope you see one someday! This post was encouraging, Audrey! I remember my grandma used to have a sand dollar as big as my hand kept in a box with that legend! I always thought it was neat! AND I GET YOU ON THE WEEKDAY AFTERNOON THOUGHTS HOLLA (except for the 80 degrees part. We're in the middle of a blizzard so ;) It's so easy to get so overwhelmed with all the things I have to do *falls over* WE CAN DO IT. Wow. Sand dollars as big as you hand O.O That would be a m a z i n g .
Oh my gosh this is so beautiful!! I've never thought of a sand dollar that way!